RED LETTER DAY FOR UWS & THE KATIE MORAG TEAM. 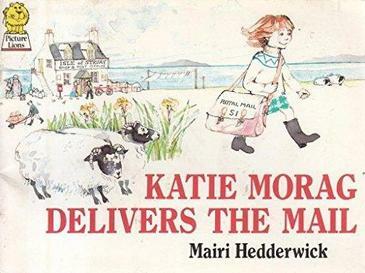 The first paperback edition of Katie Morag (1986). A year ago, on the day of the Scottish BAFTA’s in 2011, I met with Don Coutts and Lindy Cameron of MoveOnUpTV over a leisurely Americano in Clive Ramsay’s cafe in Bridge Of Allan. Sitting on the table between us was a copy of one of Mairi Hedderwick’s Katie Morag stories. They asked me what my take on scripting a potential TV adaptation might be. I told them about the research we had been carrying out at University Of The West Of Scotland as part of our Team Writing For Television module. TWFTV is a level 9 Module which tasks teams of student screenwriters to come up with the Bible and individual Scripts for a new Long Running Television Series. I told them that after 5 years of work on this at UWS, my colleagues Dr John Quinn and Martin McCardie had developed a robust methodology which would precisely fit the demands of the creation of 26 Episodes of a new, live action Katie Morag series. 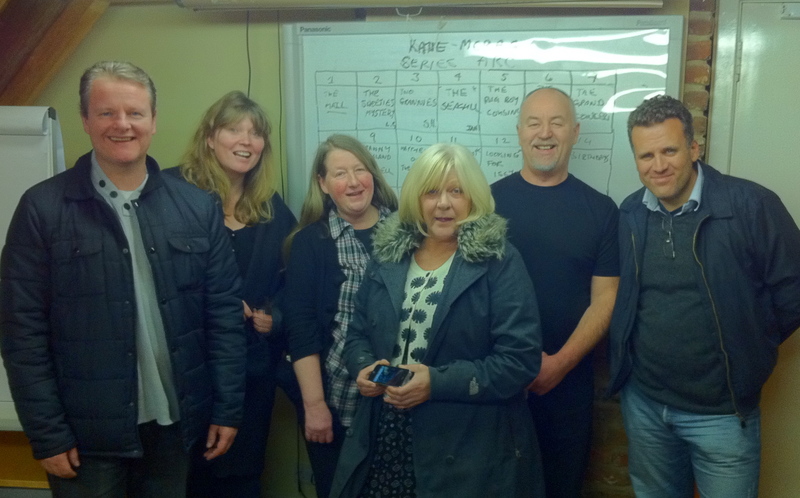 Martin McCardie, Lindy Cameron, Jan Storie, Louise Wyllie, Stuart Hepburn & Sergio Casci in the Move On Up TV HQ in Cromarty. A year later I am delighted to announce that the BBC has finally committed to 26 Episodes of this wonderful children’s drama to be filmed in Lewis next year. Congratulations to Lindy and Don, and to writers Martin McCardie ,Sergio Casci, Louise Wyllie and Jan Storie. Full details can be found on the BBC Press release below. Look out for Katie Morag and the Troublesome Ted! If you are interested in studying Film Making and Screenwriting at University Of The West Of Scotland, you can find all the details here. « “The Three Trials Of Oscar Wilde” : Ayr Courthouse 29, 30th Nov. 1st Dec.